The Sixteenth Amendment is the first of the Progressive Era Amendments. The “big business” economy of the early 1900s created a wealthy class of Americans. Progressive politicians aimed to even out the playing field between the wealthy and the poor with a progressive income tax. Since the Supreme Court had ruled such a tax as unconstitutional, an amendment was necessary. 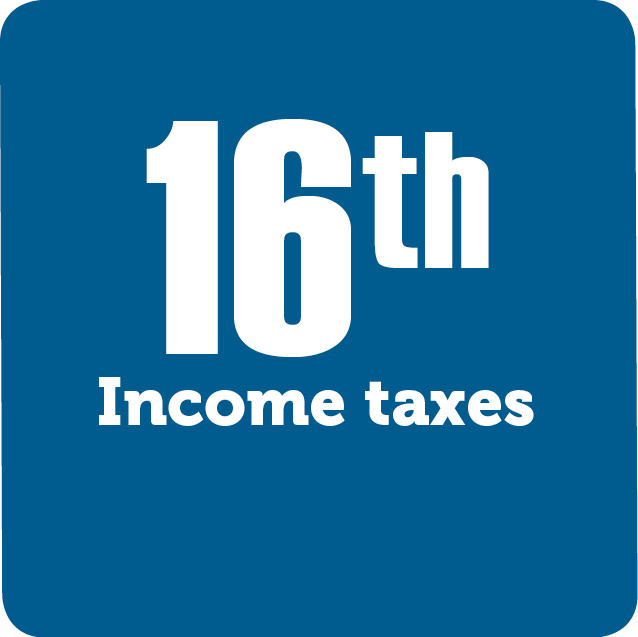 The Sixteenth Amendment permits a progressive income tax that taxes the wealthy at a higher percentage.